Firstly before I begin my movie review, I would like to state that I did not watch the trailer properly, so if there were some scenes that were already shown in the trailer, I probably don't even remember. 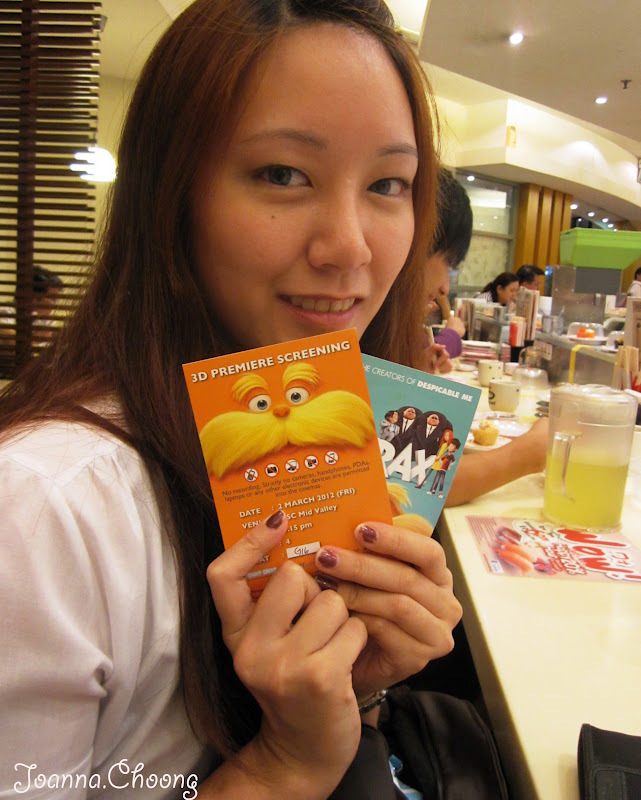 Many thanks to Nuffnang for giving me the opportunity to win these passes to the premiere in 3D which I didn't know it was 3D Haha. Synopsis: This movie is about a boy named Ted (Zac Efron) who has a crush on a girl named Audrey (Taylor Swift). In their town, there are no real plants, so they breathe fresh air from this air in a bottle, man-made. In order for Ted to woo Audrey he wanted to get her a real tree, which leads to Ted discovering the history about Once-ler, The Lorax, and what happened to the trees. I think that the story line and the message that they are trying to deliver to the audience is very meaningful and heart felt. The story line indirectly relates to us in some of our activities, such as save and love the world/environment. The title of this movie is called Dr. Seuss' The Lorax, however as an audience watching the movie, the main character felt more like Once-ler and Ted, than the Lorax. The Lorax no doubt did show up in quite a few scenes, but I just felt like the focus was not really on the cute little orange thing. 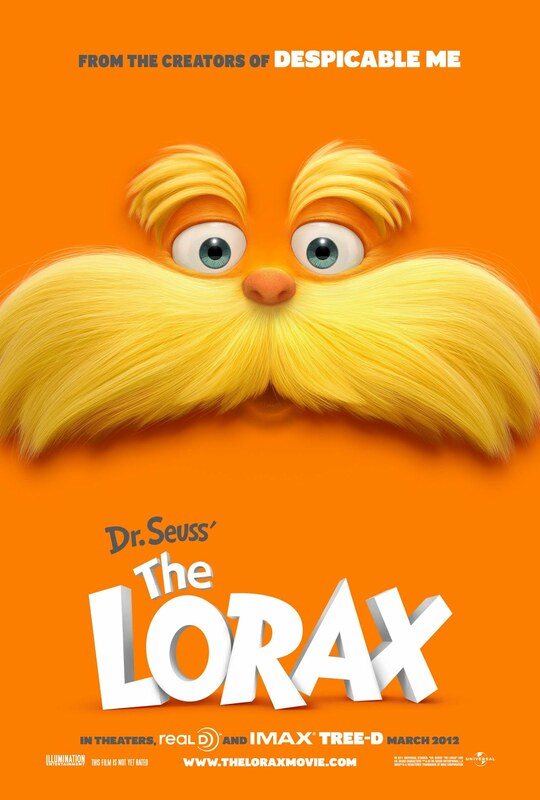 This movie is not really funny, but because there are so many cute mini characters such as the Lorax himself, accompanied with the bears, and other animals, which I would giggle at. Some of my friends said they enjoyed the movie, where as some told me it was boring; but for me? A little boring. The interesting part is the beginning of the movie until the middle part, the later scenes you will kind of already know what to expect, and what's going to happen, so you are just sitting there, waiting for the screen to show it. There also weren't much of adrenaline rush, instead it was a pretty calm and relax movie. 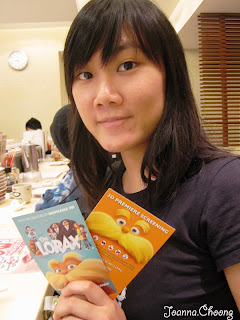 Usually people who loves animation and knows how to appreciate the animations would enjoy this movie. For people like me who watch anything, probably not so much. Personally I think this movie is not bad, but it is not the kind of movie that I would pay to watch in the Cinema (if you know what I mean *hints*). i was expecting it to be as funny as Despicable Me, but it wasnt..